Central Tyre Service. Belfast’s independent tyre fitters. 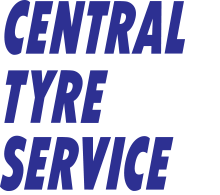 At Central Tyre Service we give you professional, impartial tyre advice, and have been doing just that from our independent depot since 1978. Our services include the supply and fitting of economy and performance tyres, car batteries, puncture repairs, and two or four wheel steering geometry and alignment. Give us a call on 028 90 238 508. Always happy to hear from you. If you’d rather send us a message please use the form below. Include your phone number if you’d like us to call you back.